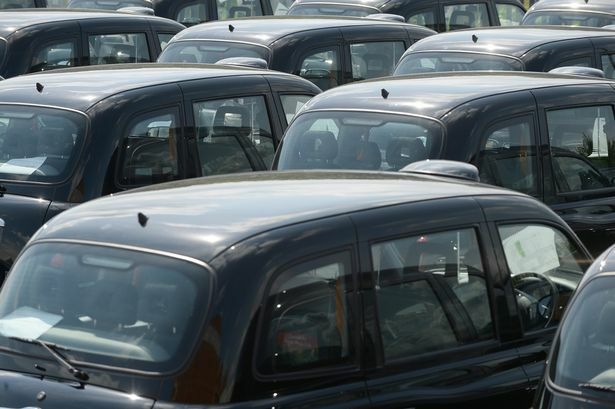 Production of the iconic London Black Cab is set to continue in Coventry for the long-term with the announcement by Geely that it is to invest £250 million to build a new research, development and assembly facility. The investment at the London Taxi Company comes as the manufacturer prepares for the introduction of the next generation electric and ultra-low emission Black Cab. The 85,000sqm research, development and assembly facility at Ansty Park, close to the firm’s current factory, was granted planning permission by Rugby Borough Council last month. The plant would initially employ 550 staff with an anticipated rise to over 1,000 in the next few years. The majority of the jobs would be new – though it is intended to move some workers from the company’s base in Coundon, which would remain open. The new facility will eventually have the capacity to assemble up to 36,000 vehicles a year - a ten-fold increase on capacity at the company’s existing site in Holyhead Road, which has been home to the London Taxi Company for almost 70 years. The announcement comes hot on the heels of Jaguar Land Rover unveiling its expansion plans for Whitley which will bring thousands of new jobs to the area. The company has revealed it intends to develop advanced green taxi technology over the next five years with the aim of launching a zero-emission electric powered London taxi by 2018. Li Shufu, founder and chairman of Zhejiang Geely Holding Group, said: “This investment will secure the future of London Taxi Company. “Almost two years after we acquired this company – in which we first took a stake in 2006 – it has become an important part of our global automotive strategy. “Today’s announcement symbolises the close business links between China and the UK, which is an attractive market for Chinese inward investment. Peter Johansen, vice president of UK operations for the London Taxi Company, said: “Coventry has been the home of the iconic London Black Cab for nearly 70 years so we are delighted that it will remain so for the next 70 as the London Taxi Company expands and goes from strength to strength. “We are proud of the company’s regional heritage in an area that is steeped in automotive and manufacturing history. The investment follows Geely’s rescue of the business out of administration in 2013, since which time the company has invested to restart production and fund the development of the successor to the existing TX4 taxi. Production of the iconic London Black Cab began at the London Taxi Company’s existing Coventry site in 1948 since when more than 130,000 vehicles have rolled off the assembly lines.